Ranbir Kapoor has time and again maintained that he has been cordial with his ex-girlfriend Deepika Padukone leaving behind the bitterness of their unfortunate break-up. 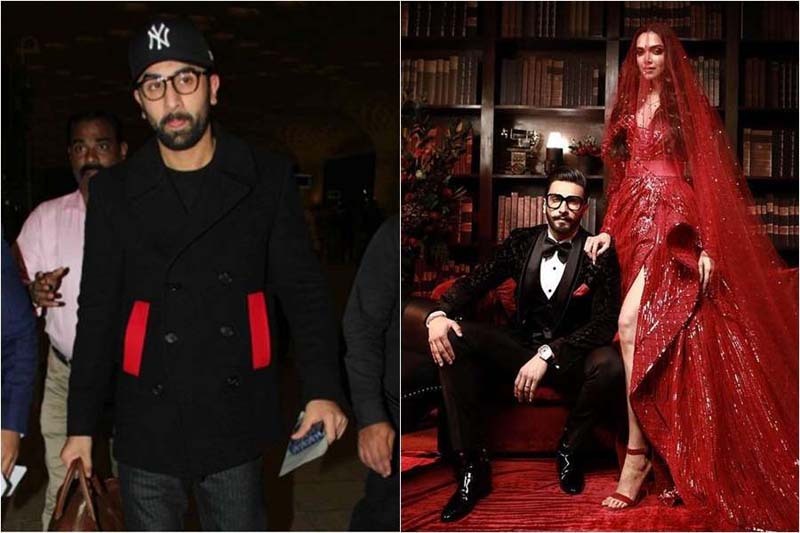 Then why did the Brahmastra actor skip Deepika's wedding reception which took place at Grand Hyatt, Mumbai on December 11 despite receiving personal invitation from the newly weds. If a report in Bollywood Hungama is to be believed, Ranbir Kapoor decided to stay away from Deepika and Ranveer's reception because of a joke 'Ranbir would be singing Channa Mereya at Deepika's wedding' which was going around in his inner circle. For the uninitiated, the Channa Mereya song from Karan Johar's Ae Dil Hai Mushkil which was picturised on Ranbir Kapoor showed the latter singing the sad track when Anushka Sharma (whom he loves) marries Fawad Khan in the film. "The joke about Ranbir singing and dancing to 'Channa Mereya' at Deepika Padukone – Ranveer Singh wedding got to Ranbir. He doesn't appreciate the public image of the serial dater who never gets the girl. Ranbir is now looking for permanence in his relationship. And you are right. The image of loser in love through his roles doesn't help. He just decided to stay away from Deepika and Ranveer's wedding reception although both of them had invited him personally and urged him to come. Perhaps, Ranbir Kapoor is now looking at attending one wedding. His own," a friend of the Kapoor family told the publication. However, Ranbir was not the only celebrity who didn't attend Deepika and Ranveer's reception. Salman Khan, Priyanka Chopra, Aamir Khan, Alia Bhatt, Sonam Kapoor and Shahid Kapoor are a few names of popular Bollywood stars who did not show up at the star-studded reception.